"SW Florida's Waterfront Condo Specialist"
CALLING BOATERS & SUNSET LOVERS! 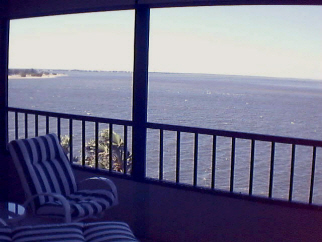 RECENT PRICE REDUCTION on this lovely, UPDATED condo with fabulous open water and sunset views. Move-in ready for a new owner. Many think this is the best building, and height within the building, and when you see the view I think you'll agree. FOR VIEW, BOATING & WATERFRONT VALUE, PUNTA RASSA CAN'T BE BEAT! Interior Features Tastefully updated throughout including light, bright, modern kitchen and baths. Just bring your toothbrush and a desire to enjoy a perfect Florida day from your totally outfitted vacation home--it is move-in ready and everything's included! Exterior Features Boaters will recognize this as an A+ location with direct access to Gulf and Intra-Coastal Waterway moments away. Fishermen will love the multiple fishing piers. Sanibel Harbour Yacht Club is adjacent--social membership is complimentary--and boat dockage there could complete the package. Pool, spa, tennis, children's play area. Additional Features and Amenities Sanibel Island's beaches are at the other end of the Causeway (10 minutes) and the shopping, restaurants, airport of Fort Myers easily accessible. Seasonal rental income can offset some carrying costs while storm shutters provide peace of mind.